Is A New Global Gold Standard Coming? 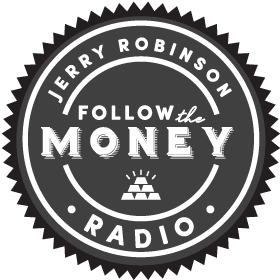 On this week's program, Jerry Robinson and co-host Jennifer Robinson bring you their latest analysis on the continuing shift away from the U.S. dollar in global trade. Iran, China, India, and Russia are the culprits in this latest transition away from the dollar. Plus, does Iran dare to challenge the Petrodollar system? We bring you the latest on the breakdown of the Petrodollar system, including a shocking move by Iran to accept gold for oil sales. Is the world moving closer towards a new gold standard? Tom Cloud has the answer to this question, as well as the latest updates on gold, silver, and palladium in this week's Precious Metals Market Update. If you would like a free consultation on buying gold and silver, or for a free review of your precious metals portfolio, call Tom Cloud at (800) 247-2812. In Segment 2, Jerry gives his take on the financial markets and answers your questions in this week's Listener Mailbag. This week's questions cover DSL savings, stop-loss orders, and the difference between swing trading and day trading. Also, Jennifer offers some last minute tax tips, as the due date to file approaches quickly. If you have a question that you would like Jerry to answer on the air, call (800) 609-5530 or email info@ftmdaily.com. Then, Jay Peroni, CFP, discusses why choosing "proud-to-own companies" is important in this week's Investing Insight. Finally, we conclude with the Retirement Minute with John Bearss. This week John discusses the importance of getting help in your retirement planning. 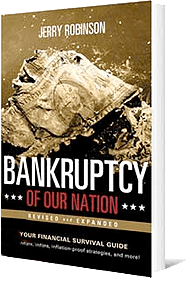 In our final segment, Jerry is joined by former banking insider and market researcher, Chris Mayer. 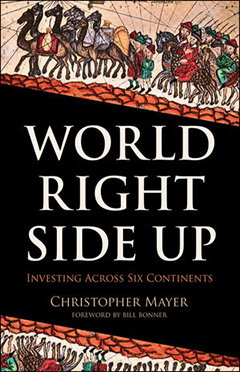 Chris edits the Capital and Crisis newsletter at Agora Financial and is here to discuss his latest book, World Right Side Up: Investing Across Six Continents. Through his travels to many different parts of the world, Mayer has seen some amazing investment opportunities in major growth areas around the globe. Mayer discusses everything from investing in clean water in China, to oil in India, to a "top-secret" growth sector in the United States. Mayer also shares his personal favorite area in which to invest…it may surprise you. You do not want to miss this interview.